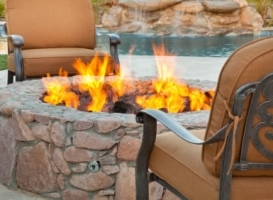 Fireplaces and fire pits naturally attract and draw people closer together. So, make your outdoors a cozier place with an outdoor fireplace or firepit placed in a central location. 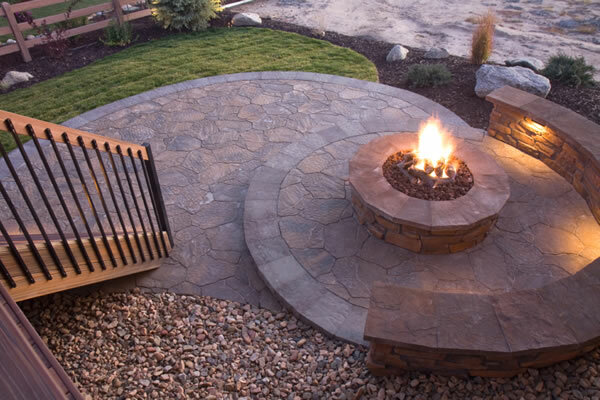 If you’re unsure whether to install a fireplace or a fire pit, let us show you examples and help you determine which one is best for you. 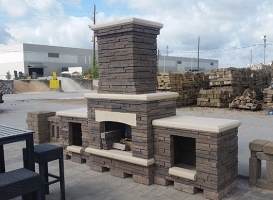 A fireplace is usually made of a stone oven or a standalone fireplace with a chimney attached to it. It can be built into a porch wall or placed in a corner of a deck or patio. 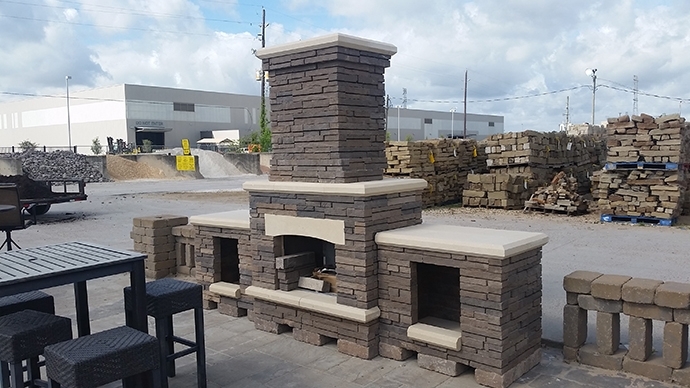 It also makes an incredible statement piece as part of an outdoor kitchen or dining area. 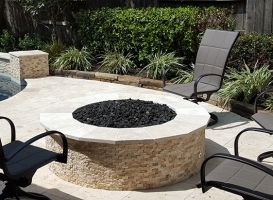 Fire pits are usually circular and can fit in the most compact of spaces. 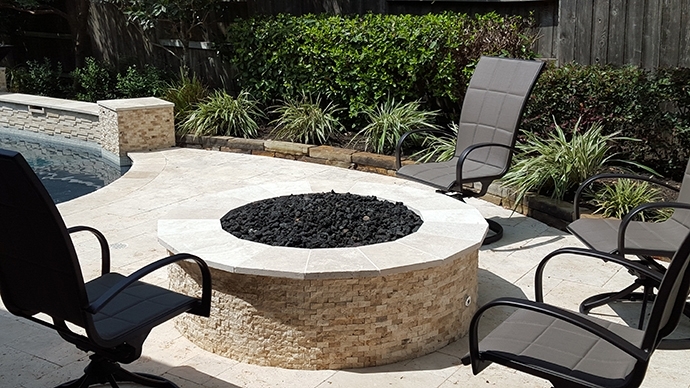 Whether it’s a simple pit or built with a semi-circular seating area, it definitely makes your outdoor space more inviting. 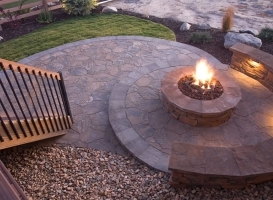 Fire pits are constructed of stone and/or concrete. Gas or propane fire pit kits are installed and the pit can be enhanced with rotisseries or skewer cooking accessories. 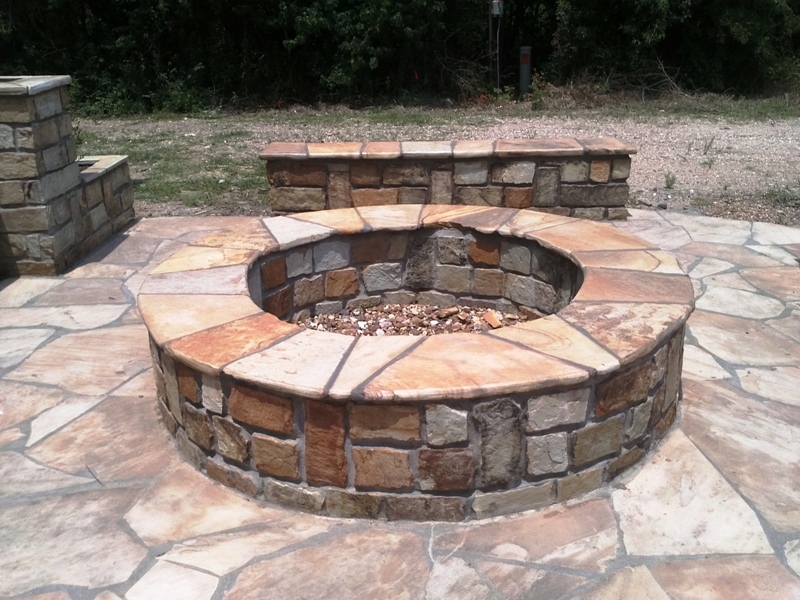 Whether you need a fireplace or a fire pit, Patio Creations can design and build it for you. Click here to view more of our work.